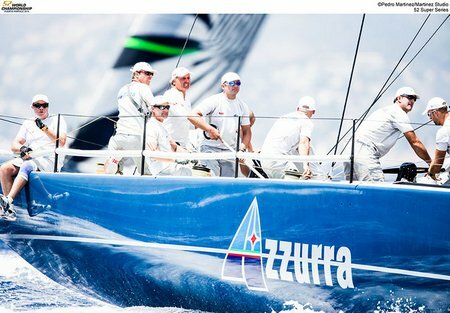 When the 52 SUPER SERIES fleet of 11 TP52s gather for next week’s Mediterranean summer showcase regatta, the 34th Copa del Rey MAPFRE, series leaders Azzurra will be bidding to win their third regatta in a row and the fleet will welcome new American owners to compete on the world’s leading grand prix multihull circuit for the first time. July 30, 2015—The U.S. Department of Transportation’s Maritime Administration (MARAD) will provide $500,000 towards the development of a high-speed, hydrogen-fuel-cell-powered passenger ferry and refueling station. 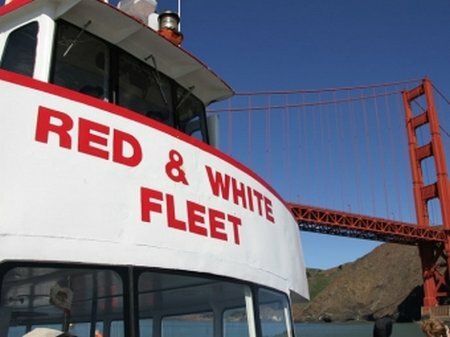 The project is being conducted jointly by Sandia National Laboratories of the Department of Energy and San Francisco’s Red and White Fleet. 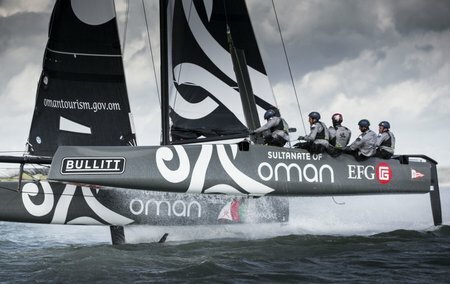 The first day’s racing at the Bullitt GC32 Racing Tour in Kiel was abandoned when race management, backed up by the whole fleet including Oman Sail’s Sultanate of Oman, decided that strong gusts in excess of 30 knots were not favourable for fair and safe sailing. 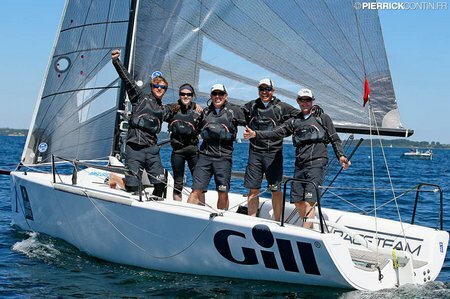 29 July, 2015 – Melges 24 class in Europe has had four events of the 2015 Melges 24 European Sailing Series so far: first in Portoroz, Slovenia in March, second in Balatonfüred, Hungary in May; third in Riva del Garda, Italy in May and fourth as the most important title event of the year, World Championship in Middelfart Denmark in June-July. The current standings of the 2015 Melges 24 European Sailing Series calculated after four events with 34 races altogether and 5 discards have been published. Fifth event of the series will be held in Medemblik, the Netherlands in September and the series will led in Luino, Italy as a joint event with Audi tron Sailing Series in October. July 29, 2015—Three South Korean shipbuilding giants have now reported massive operating losses. Among them was Samsung Heavy Industries. 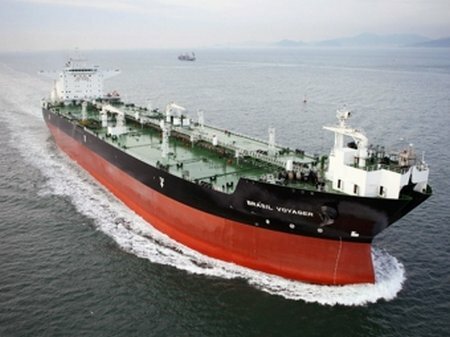 After market close Wednesday, the shipbuilder reported an operating loss of 1.55 trillion won ($1.3 billion). Analysts had thought the loss would be 343 million won. At 08.20hrs on Wednesday 29 July 2015, Humber Coastguard requested the launch of Seahouses Lifeboat to go to the assistance of a female aboard a Sail Training yacht moored off Holy Island. The 14yr old female was sea sick and diabetic, and required urgent medical assistance. 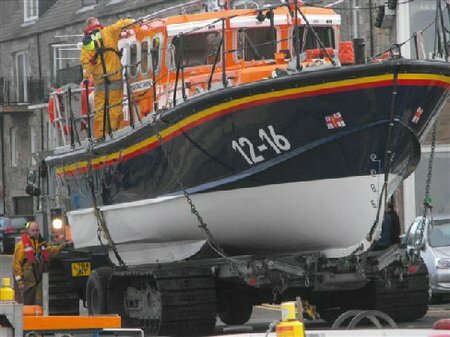 Seahouses All Weather Lifeboat was quickly launched and made best speed to Holy Island. 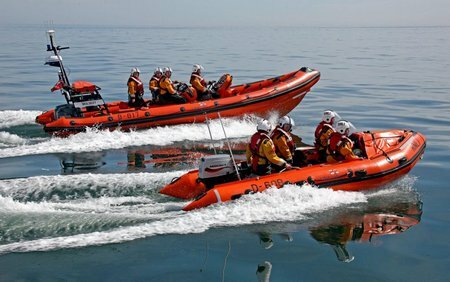 The Inshore Lifeboat was taken by road, due to choppy sea conditions and launched at Holy Island. The causeway was still open at this time, but the yacht could not enter the harbour at Holy island due to the low tide. 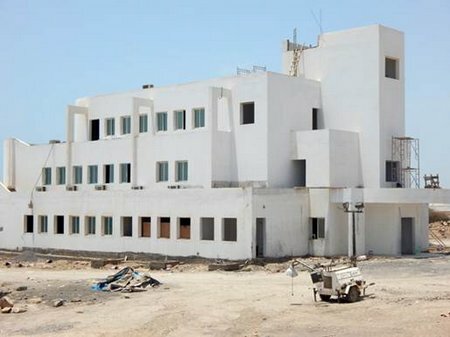 The Government of Djibouti has reaffirmed its commitment to ensuring timely completion of the Djibouti Regional Training Centre in Doraleh, Djibouti, which will be a vital component in provision of security training in east Africa. IMO’s Kiruja Micheni was in Djibouti to monitor progress (27-28 July). Mr Said Nouh Hassan, Secretary-General of the Ministry of Transport and Equipment, reiterated the Government’s commitment to ensuring that the centre is completed in line with the amended Memorandum of Understanding signed between IMO and the Government of Djibouti on 3 June 2015. This requires the centre to be completed by 31 October this year, prior to an inauguration ceremony no later than 18 November 2015, at which representatives of all signatory states of the Djibouti Code of Conduct, key donors and implementing partners are expected to participate. 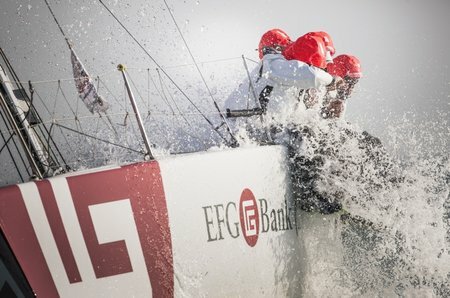 Changes to the 2016 edition of EFG Sailing Arabia – The Tour (SATT), designed to raise its status on the global sailing calendar as a compulsory regional regatta and a valuable winter training event for teams coming from further afield, have been welcomed by offshore sailing professionals around the world. 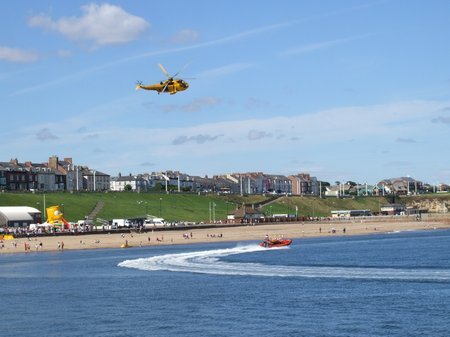 Members of the Sunderland RNLI Lifeboat Station and Lifeboat Guild invite supporters to the stations annual ‘Harbour Day’ which is to be held on the Sunday 2 August 2015 at Sunderland Marina outside the lifeboat station. 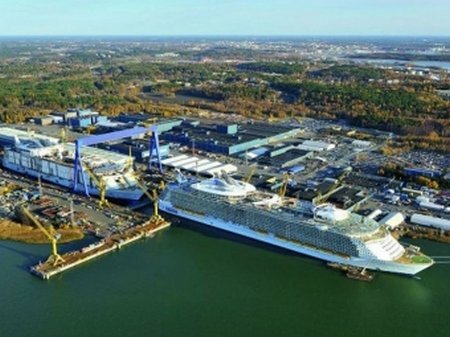 July 28, 2015—Costa Cruises will build two 6,600 guest, LNG-fueled cruise ships under the four-ship newbuild program at Meyer Werft announced by Carnival Corporation & plc in June. At that time Carnival disclosed that the other two ships included in the multi-billion dollar contract are destined for Carnival’s German brand, AIDA Cruises.